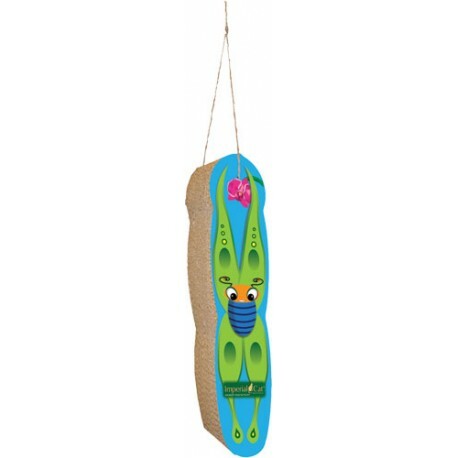 This lovely hanging scratcher is designed to satisfy a cat's vertical scratching needs. Please note many of Imperial Cat items are produced in assorted patterns. This means the patterns you receive may vary. The company is constantly adding new patterns to keep the selection fresh. 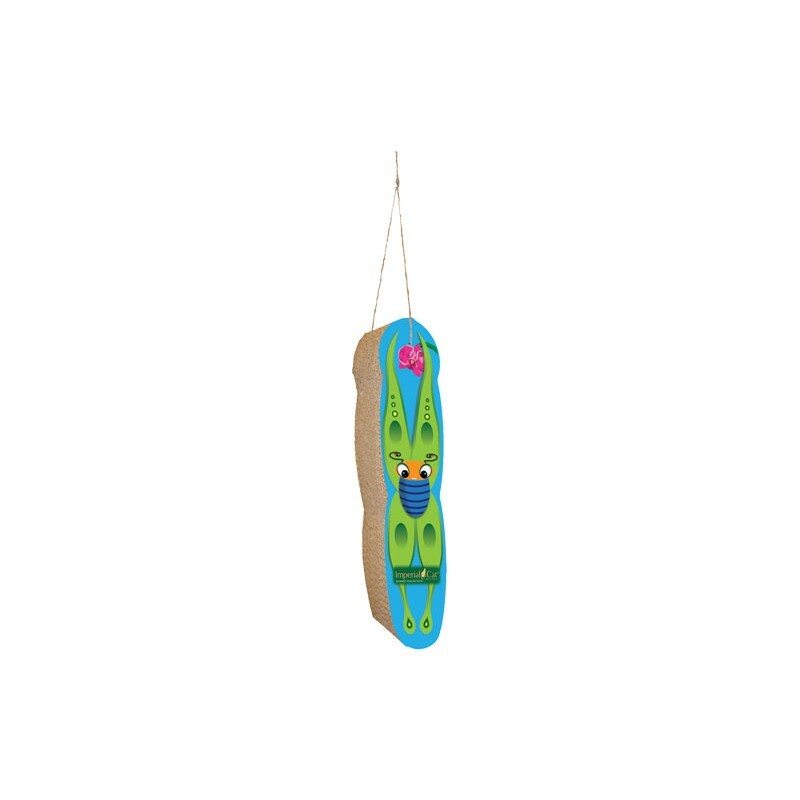 This lovely hanging scratcher is designed to satisfy a cat's vertical scratching needs. Unique honeycomb surface mimics the feel of tree bark (a texture cats prefer), so kitty will scratch this, and not your expensive home furnishings. Arrives pre-strung for quick and easy hanging from a door knob or other surface. Made in the USA from recycled paper. Bag of 100% certified organic catnip included. Dimensions: 4" x 3" x 15"